Donald Trump may have been selected by the magazine, but its readers had a different idea. Indian Prime Minister Narendra Modi was voted by TIME readers as the 'Person of the Year'. With a comparatively huge 19 percent of the vote, Modi beat off Barack Obama, Donald Trump and Julian Assange who were tied in second place with seven percent. The Indian leader is currently enjoying high approval ratings in his country and recently ratified the Paris Climate Change Agreement. The official Person of the Year, chosen by TIME editors, is somebody who 'most influenced the news, for better or for worse'. The readers vote is generally seen as a gauge of popularity and doesn't influence the final choice which will be announced tomorrow. This chart shows the results of the TIME Person of the Year Reader’s Poll 2016.
focus in the Middle East. 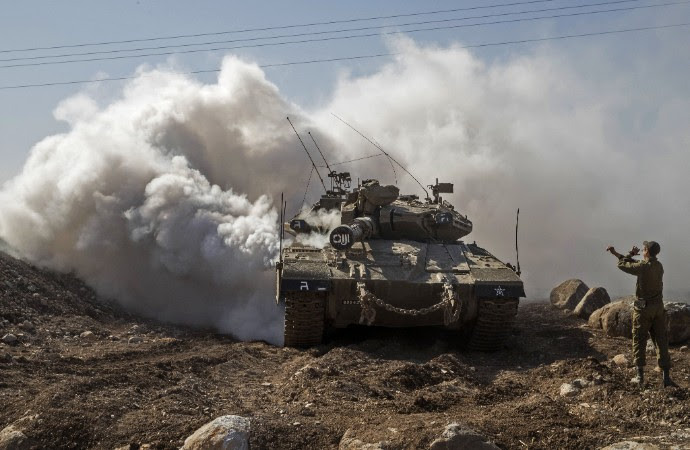 An Israeli soldier directs a Merkava tank near the border with Syria in the Golan Heights, on Nov. 28, 2016. Israel's air force targeted gunmen linked to the Islamic State group in Syria, the army said, after they fired on an Israeli soldier in the Golan Heights. Friedman’s Weekly is normally focused on urgent events. This week, I was reminded by the appointment of David Friedman (no relation) as ambassador to Israel how little I think about Israel these days. Given that for most of my life Israel was the central issue in the Middle East and that the Middle East is in chaos, the relative lack of public interest in Israel struck me as important. As significant was the lack of Israel’s active involvement in the region. Hence the title. Consider Syria. Israel has gone to war with Syria three times, in addition to engaging in casual artillery duels, airstrikes and the rest. Syria has always been a central national security issue for Israel, and the Syrians have regarded Israel as an ongoing threat. Today, a war is raging in Syria that one would think would directly involve Israel. Yet Israel, certainly interested in Syria’s affairs, is not involved. Apart from occasional airstrikes on missiles being brought into Syria by Hezbollah, Israel has avoided involvement, and none of the many antagonists fighting in Syria have had any real interest in Israel. Since 1948, the Arab world has been obsessed with Israel, and Israel has been obsessed with the Arab world. But Israel is letting the fighting in the region run its course. The world is in a "frenzy of study," Henry Kissinger said in a recent interview. At home and abroad, strategists and pundits are trying to piece together a blueprint of American foreign policy under U.S. President-elect Donald Trump from a stream of tweets, some campaign slogans, a few eye-catching Cabinet picks, meetings at Trump Tower, and a pingpong match already underway with Beijing. Highbrow intellectualism can be a handicap in this exercise. Commentators among the Washington establishment have been quick to dismiss Trump's foreign policy moves outright as erratic and self-serving over the past few weeks. In an op-ed entitled "Trump Failed His First Foreign Policy Test," for instance, columnist David Ignatius admonished the president-elect for the "hot mess" his phone call with Taiwanese President Tsai Ing-wen precipitated. Trump makes people uncomfortable. It's what he does best, in fact. But how this quality applies to foreign policy is a question that merits deeper exploration than knee-jerk displays of stricken disbelief. After all, as Kissinger noted in his Dec. 18 interview, "a president has to have some core convictions." Many semiconductor companies struggle when attempting to transition from hardware to software. How can they improve the process? It’s a familiar scenario: a semiconductor company sees profits drop as core hardware products become commoditized. In response, it tries to move into embedded software and associated application software. The transformation begins optimistically, with the company projecting strong software sales, but difficulties quickly emerge. Timelines increase, the project hits snags, and software revenues fall below expectations. Instead of improving margins, the new business creates even more financial stress. Despite these problems, we expect more semiconductor companies to increase their software capabilities over the next few years, attracted by the potential for high profits. To their credit, many players have acknowledged that previous transformation attempts were subpar and have made some improvements—for example, by taking a new approach to talent recruitment or streamlining product development. These efforts have helped, but they only address a few parts of the puzzle. No company has yet developed a comprehensive approach for navigating all stages of a software transformation. A test of the nuclear-capable Nirbhay cruise missile failed for the third time. A December 21 test launch of India’s nuclear-capable Nirbhay long-range cruise missile has reportedly been unsuccessful, according to local media reports. It is the third time that a Nirbhay missile trial has allegedly failed to achieve its test perimeters since March 2013. The December 21 launch, like previous tests, took place at the Integrated Test Range–the Indian military’s primary missile test facility–on Abdul Kalam Island, off the coast of Odisha and was overseen by the Indian military’s Defense Research Development Organization (DRDO). According to the Times of India, the missile had to be destroyed mid-air after it deviated from its course. “The booster engine in Nirbhay’s first stage started working. The missile lifted off from its launcher. But it started veering dangerously towards one side in less than two minutes of its lift-off,” DRDO sources told The Hindu. What Exactly Is Preventing A Congress-SP Coalition In Uttar Pradesh? For one, Akhilesh Yadav had hinted at an arrangement where in 2019, Mulayam would be the prime ministerial candidate, and Rahul Gandhi, the deputy. It is almost a year or more since we have been hearing of a possible coalition between the Congress and the Samajwadi Party (SP) or of a larger mahagathbandhan that would include Ajit Singh’s RLD, Nitish Kumars’ JD-U and Lalu’s RJD as well, in the coming Uttar Pradesh (UP) assembly elections in January-February 2017. Congress strategist Prashant Kishore is after that and UP CM Akhilesh Yadav is also optimistic to win 300 seats if it was to materialize. Then what are the hiccups? What prevents the coalition or mahagathbandhan from happening? Many think that it is just the seat sharing or Muslim votes that form the core constraint in the move. The fact of the matter is otherwise. The move is linked to the larger desire of Mulayam Singh Yadav to become the Prime Minister of the country. A year back, in December 2015, Akhilesh had indicated his formula; let SP and Congress not restrict the coalition to UP only, let it be on a larger national design in which Mulayam becomes the PM and Rahul Deputy PM if the coalition comes to power after next Lok Sabha poll in 2019. Perhaps, it is this proposal that the Congress party is not prepared to accept, and rightly so, because the SP is state party and it could be humiliating for a national party like Congress to play second fiddle to the regional party though Mulayam is by no means is a regional leader. The Taliban was very active in 2016 as their drug gang patrons demanded greater efforts to protect core areas used to produce and export the opium and heroin that pays for all this mayhem. While there was a lot more Taliban violence (and drug gang bribery) this year at the end of 2016 the government still controls two-thirds of the population and the Taliban/drug gangs less than ten percent. Despite the small gains the drug gangs are largely satisfied because nearly all the gains have been in areas they value most. The fighting has always been concentrated in a few of the 34 provinces that are key to the drug operations. These provinces include Badakhshan in the northeast, Ghazni in the southeast (near the Pakistan border), nearby Zabul, Helmand in the south, Nangarhar in the east and Kunduz in the north. Helmand is most important because that is where most of the opium and heroin is produced. The other provinces are important because they provide key smuggling routes for getting the drugs out and essential supplies (weapons, chemicals and cash) in. American advisors believe that the drug gangs now are present in over a quarter of the country but actually control a lot less. The Afghan government pointed out that the Taliban made repeated, but ineffective, efforts to capture Kunduz city in the north and many areas in Helmand. In all these failures the Taliban suffered heavy losses, not just in men but also in what little popular support they have in some areas. The Taliban has always been unpopular, especially in the north, but the callous attitude of most Taliban commanders towards civilian casualties is noticed by the population in general and that makes it more difficult for the Taliban to obtain support. In many areas of the country even bribes and threats don’t work. The immense hydropower potential of both countries could help accelerate the economic development in the region. According to a recent UN report, “48 of the world’s most vulnerable countries will lose ground in economic development and face increasing levels of poverty” between now and 2030. The 2016 report of the United Nations Conference on Trade and Development on Least Developed Countries presents some worrisome facts indeed. Least developed countries (LDCs) are those that suffer from severe structural impediments to achieve sustainable development. Membership is revised every three years based on the average gross national income (GDP plus net income received from overseas); human assets (level of population undernourished, under-five mortality rate, gross secondary enrollment ratio and adult literacy rate) and economic vulnerability (such as population, remoteness, merchandise export concentration, natural disasters, instability of agriculture production and instability of goods and services exports, among other factors). Does China Really Want to Be the South China Sea's Policeman? A 2015 Chinese publication of geopolitical strategist Alfred Thayer Mahan’s 1890 treatise, The Influence of Seapower upon History, carries an arresting image of an aircraft carrier on its cover. Featured on the cover of a 2007 edition of the same book is presumably a view of the South China Sea, and a yellow banner that asks, “What are the biggest strategic risks facing a rising China?”. With its critical access to the Straits of Malacca and Indian Ocean, the South China Sea is China’s physical and figurative Mahanian gateway for naval expansion and global power. Mahan’s dictum that the nation that controls the seas holds the upper hand pushes China to seek prestige and profile through maritime supremacy. However, upscaling military capabilities and infrastructure in the South China Sea undercuts China’s grand strategy. Militarization blurs the lines between defense and offense and thrusts China into the costly role of regional policeman. It also casts a long shadow over any regional leadership aspirations and fuels an arms race in Asia that compromises China’s pursuit of world power status. The Dalai Lama’s unrivalled religious authority and influence over Buddhists in China and around the world is a matter of concern to Beijing. Over the years, Beijing has tried to shrink the space available to the Dalai Lama in world capitals to lobby the Tibet cause and undermine his influence over the different Tibetan Buddhist sects. Despite these efforts, the Dalai Lama’s influence and religious authority remain undiminished. Since at least the past decade, Beijing has tried to restrict the Dalai Lama’s interactions with world leaders in a bid to reduce his international stature and limit his effectiveness in lobbying support for the ‘Tibet cause’. In addition to strong official protests demanding cancellation of meetings scheduled with the Dalai Lama — consistently described as a “splittist” engaged in anti-China activities — China has used a mix of punitive diplomatic and economic measures. 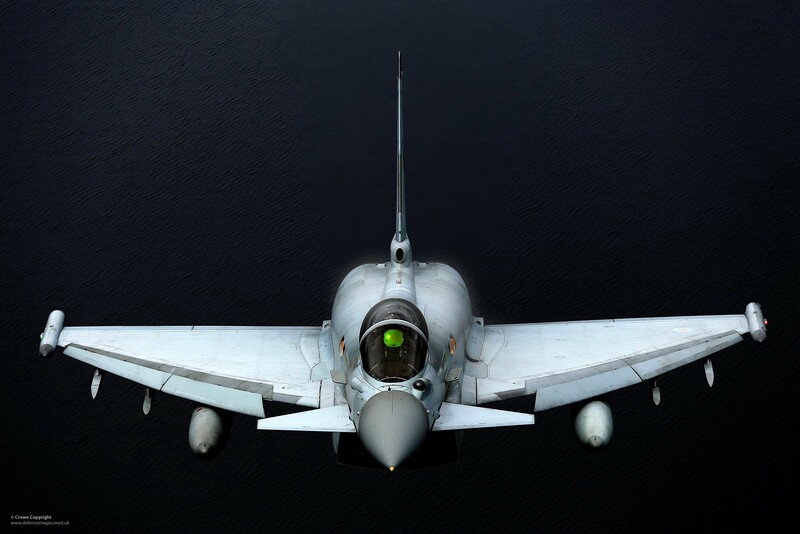 Is Britain Staging a Comeback in the Persian Gulf? This would consist of a £3 billion investment — $3.7 billion in U.S. dollars — in the defense spending of the region over the course of the next decade, she said. This was music to the ears of most of the Gulf Cooperation Council, a regional political and economic bloc that comprises Saudi Arabia, the United Arab Emirates, Kuwait, Bahrain, Oman and Qatar. Officials in Tehran bitterly denounced the statements as an aggressive stance on the part of their counterparts in London. Background: The civil war in Syria was sparked by Syrian President Bashar al-Assad’s brutal campaign of repression in reaction to what were initially peaceful protests. The humanitarian costs of this civil war have been staggering: hundreds of thousands dead, over 11 million Syrians internally displaced or living in make-shift refugee camps in Turkey, Lebanon, or Jordan, and more than 300,000 seeking refuge in Europe. Islamist terrorist groups including the Islamic State, Al-Qa’ida, and others have seized huge swaths of territory and greatly expanded their resource base and capabilities. Meanwhile, both Russia and Iran have exploited this opportunity to expand their regional influence by offering extensive military support to Assad. As of this writing, Syrian forces backed by Russian aircraft appear poised to regain control of Aleppo–potentially a key turning point establishing a military balance of power heavily favorable to Assad and his supporters. Significance: From the beginning of this crisis, national security professionals have disagreed over the relative importance of these developments for U.S. interests. However, the most immediate impact on U.S. interests derives from prospects that: (1) ungoverned spaces and chaos in Syria will serve as a continued base for jihadi terrorists willing to attack targets in Europe and the U.S.; and (2) continued refugees flows could destabilize U.S. regional allies in neighboring Lebanon, Jordan, and Iraq. Only an end to the civil war though a negotiated political transition can accomplish both of these objectives. Is Russia a Military Threat to NATO? How much of a threat do Russia's emerging 5th-generation stealth fighter, nuclear arsenal, high-tech air defenses, anti-satellite weapons, conventional army and submarines pose to NATO and the U.S.? Current tensions between Russia and NATO are leading many to carefully assess this question and examine the current state of weaponry and technological sophistication of the Russian military -- with a mind to better understanding the extent of the kinds of threats they may pose. Naturally, Russia’s military maneuvers and annexation of the Crimean peninsula have many Pentagon analysts likely wondering about and assessing the pace of Russia's current military modernization and the relative condition of the former Cold War military giant’s forces, platforms and weaponry. Russia has clearly postured itself in response to NATO as though it can counter-balance or deter the alliance, however some examinations of Russia’s current military reveals questions about its current ability to pose a real challenge to NATO in a prolonged, all-out military engagement. COULD ANKARA AND WASHINGTON TEAM UP ON TEHRAN? Depending on who you ask, Turkey and Iran — and their predecessor polities — have either been at war or at peace for the last five centuries. These wildly differing versions of history are, not surprisingly, a product of the complicated and often contradictory relationship that exists between the two states today. Since Turkey’s Justice and Development Party (AKP) came to power in 2002, geopolitical and sometimes sectarian tensions between Ankara and Tehran play out alongside ongoing, and even deepening, economic ties. Just yesterday, Turkish and Iranian diplomats met with their Russian counterparts in Moscow for tense discussions aimed at overcoming at least some of their stark differences on the Syrian civil war. Surely these sessions were made more tense by this week’s assassination of Russia’s ambassador to Turkey. Outgoing Reserve Bank of India Governor Raghuram Rajan took on critics again Tuesday and defended the key policies undertaken by the central bank during his tenure, going into extraordinary detail explaining the context of many of the bank's decisions. Specifically, he addressed concerns about interest rates, which many of his critics say have been too high, hurting credit growth and spending, and the RBI-mandated clean-up of bad loans and balance sheets at banks, which some critics allege has compounded the credit growth slowdown. "The RBI, of course, stands by its policies," Rajan said addressing the 10th Statistics Day conference at the RBI headquarters. "Nevertheless, this debate is very important because it could shape policy directions in India over the medium term." In the face of political transitions and concerns over trade, executives expect improvements at home and a stable global economy—with some regional divergences. As executives look ahead to a new year, they see political transitions as a leading risk to global and domestic growth—and among the more pressing threats to their businesses—in McKinsey’s latest survey on economic conditions.1In parallel, slowing trade also has risen as a threat to global growth, especially for respondents in China and developed Asia.2Despite these uncertainties, executives are more positive than negative about economic prospects at home and, as they have all year long, expect global economic conditions to hold steady. Across regions, though, outlooks can vary. Respondents in China and the United States report increasingly positive expectations for their economies and believe growth rates will improve in coming months, while opinions on the eurozone are mixed. Nearly everyone sees more global volatility on the way. Organizational choices made during a time of resource scarcity need reexamination when the cycle turns. When business cycles turn, cyclical industries can struggle to retool their organizations for the new environment. For instance, today’s oil and gas companies were developed in a time of resource scarcity. To get at those hard-to-find, difficult-to-develop resources, companies greatly expanded the role of their central functions—mandating them to set common standards, make technical design decisions, track company-wide metrics, and disseminate best practices. This worked well during a decade of high growth and high prices but created complexity that added costs, stifled innovation, and slowed down decision making. As these central teams expanded, general and administrative costs grew fivefold, hitting nearly $5 per barrel in 2014 (exhibit), with the biggest increases coming from technical functions such as engineering, geosciences, and health and safety. Can Mattis make peace through technology? What the former assistant secretary of the Navy said is descriptive of the entire military. Each service’s culture, and interservice rivalries, and bureaucratic viscosity are resistant to reform. Which is why the next secretary of defense, retired Marine Corps Gen. James N. Mattis, has the most difficult management challenge in American government. He comes from a service whose core mission, small-unit combat, involves conflict at its most granular. He will now rely on companies such as General Atomics here, whose business is leveraging technology to produce maximum potential military lethality with minimal costs. The president-elect ardently advocated substantially increased defense spending, and just as ardently favors unrestrained entitlement spending. For about $500,000 in expenditures, the 9/11 attackers did more than $2 trillion in damage to the United States and the world economy. The linked physical and cyber infrastructures of complex societies are vulnerable to such asymmetries. General Atomics’ scientists toil to redress this imbalance with, for example, the Predator and other remotely piloted aircraft (RPAs). We, the United States Army, we are truly blessed to have the absolute greatest Navy and Air Force the world has ever known. When the bullets start flying, the Navy and the Air Force are the Army’s best friend, and in my personal experience…neither the Navy nor the Air Force have ever failed the Army. Since at least the end of World War II, an overarching trend within the U.S. military has been a long march toward a more integrated joint force. The creation of the Department of Defense and the Goldwater-Nichols Act are the highlights that garner most attention, but the present state of jointness also owes much to change achieved by more gradual degrees. Beginning with the desire to reap a post-Cold War “peace dividend,” the pull of budgets declining faster than operational demands led to an understandable desire to cut seemingly redundant capabilities. This gave rise to what defense leaders such as Gen. Martin Dempsey and Adm. Jonathan Greenert have touted as joint force interdependence — “a deliberate and selective reliance and trust of each Service on the capabilities of the others to maximize its own effectiveness.” The principle remains sound, but that is not to say that all earlier decisions made in its name are still valid. Deliberate and selective choices made in one operational environment might be unwise in a different context. America Needs a Bipartisan Foreign Policy. Donald Trump Can Make It Happen. A new approach must consider not just elites’ perceptions and preferences but also those of the public. DONALD TRUMP won the election after a tough and divisive campaign. While running for president, he did not shy away from questioning some accepted precepts of recent U.S. foreign policy or from making a number of flamboyant policy pronouncements. Consequently, the “morning after” was replete with speculation—and not inconsiderable trepidation in some quarters—about the sort of leadership the world could expect from the forty-fifth American commander in chief. Predictions have covered the gamut. Friends and foes alike are anxiously waiting to see what the new president will do in office, studying what he has said, and preparing their own options and possible responses. Trump has the opportunity to “think big,” as he writes in his book The Art of the Deal and elsewhere, and recast American and Republican foreign policy for decades to come. As he does that, he will be constrained by the world as he finds it and by America’s domestic circumstances. Given these limitations, and the core beliefs he explicated during the campaign, a prudent foreign policy is possible and can find bipartisan support. The opportunity is there. I hope he seizes it. This edition of CTTA focuses on the growing influence of individual actors within terrorist groups. The articles specifically focus on 1) the emergence of Bahrumsyah as a key jihadi leader among ISIS supporters in Southeast Asia; 2) the rise of Indonesian militant Bahrun Naim, who has plotted a number of terrorist attacks against local police forces as well as civilian targets; 3) the role being played by Gigih Rahmat Dewa, who is part of the Katibah Gonggong Rebus (KGR), as a key provider of logistical support to pro-ISIS activists in the Southeast Asian region; 4) Muhammad Wanndy Mohamed Jedi’s status as Malaysia’s online ‘jihadist celebrity’; 5) Isnilon Totoni Hapilon’s successful gathering of sixteen pro-ISIS militant groups in the Philippines; and 6) how ISIS’s over-ambitious religious and political goals have facilitated the organization’s internal collapse. Cyber-attacks are on the increase worldwide. Norway, as one of the world's most digitized countries, is therefore particularly vulnerable, something largely overlooked by both Norwegian politicians and business leaders, Norwegian researchers maintain. Akin to how the advent of aviation changed the world in the early 1900s, ever-changing information technology is changing the world today. With cyber threats rising across the globe, Norway is among the likely targets being one of the world's most digitalized nations, researchers Niels Nagelhus Schia and Lilly Pijenburg Muller of the Norwegian Institute of International Affairs (NUPI) wrote in an opinion piece for Norwegian national broadcaster NRK. When Barack Obama took over the keys to the White House from George Bush, he was advised to pursue a top-secret security program initially called the Olympic Games, now better known as Stuxnet and often recognized as the world's first cyber weapon. According to NUPI experts, Stuxnet alone managed to delay the Iranian nuclear program three years by corrupting data from centrifuges for uranium enrichment. One year ago I was hugely fortunate to take command of the Australian Army’s 1st Brigade located in Darwin, at the top end of Australia. It is a formation with a proud history stretching back to its service throughout the Gallipoli campaign, both World Wars, Vietnam and in the contemporary struggles in Iraq and Afghanistan. As with all commanders, I had given much thought to the key areas of focus that would support us in building combined arms close combat competencies at various levels within the Brigade. There were several, but one particular area that interested me before I assumed command was how we might better use social media. To my mind there were several imperatives to do so. First, what we do in a combat brigade is — to put it simply — really awesome. I wanted to communicate that to a wider community audience who may not have previously had military experience. Second, I wanted to be able to possess additional means to communicate with our families. Third, I wanted to be able to use it to support my professional military education programs in units across the Brigade. Finally, I wanted to understand a method of communicating that is used widely by our Generation Y soldiers — who now make up the majority of our people in the Brigade. Cyber warfare waged by Russians is ‘part of modern life’, a Government minister has admitted. The Kremlin was blamed for hacking Democrat emails in the run-up to the US election - and Barack Obama last week vowed to hit back. Now Foreign Office Minister Sir Alan Duncan has claimed Moscow is targeting political campaigns with hi-tech attacks. Sir Alan told the Commons Foreign Affairs Committee: “There’s no doubt that, using modern technology, they are interfering in many parts of the world. “We just have to accept it as a fact that cyber warfare is now a part of modern life and the Russians are using it as best they can in a political dimension, not just in the commercial one. What could possibly make the F-35 an even more advanced jet fighter? Lasers, according to the U.S. Air Force. The USAF plans, which would put the system into service sometime in the 2020s, will have to clear the same hurdles that have plagued all directed-energy weapons. These weapons have always faced technical and budgetary barriers, which will remain the case, but these cutting-edge systems promise a qualitative advantage over future threats. Directed-energy weapons (DEW) include several technologies with different characteristics and capabilities. Ranging from non-lethal microwave weapons that can disburse enemy forces or an angry mob, and those that can fry electrical systems in a target area, to high-energy lasers that can shoot down missiles or planes, DEWs offer new military possibilities. Because several of these high-energy laser systems are either in service or nearing service, and because of their potential to transform the battlefield, this article will focus on this type of DEW. The United States, not surprisingly, is a cyber super-power. We are not, however, the world’s leading cyber super-power. More accurately, we do not enjoy a significant edge or large gap in our capabilities relative to other nations. Our technical expertise is certainly as strong as any, but we do not have the man-power, brain-power, or organization of other cyber-warfare super-powers. We are not in the best position as a country to survive a strong, coordinated, cyber-attack against our critical infrastructure. The recent hot political news about cyber intrusions into the DNC, and alleged “hacking” by Russia or Russian sympathizers who were part of a purported coordinated effort to meddle in our election raise again the flags of our weaknesses. The “Russian Hacking” story is not unimportant, even if it is misleading, inconclusive, and dangerously political. Investigating foreign meddling in our election should be a non-partisan, bipartisan effort. Suggesting that the Russians “hacked” our elections is both irresponsible and grossly misleading, as it suggests to Americans that a state sponsored entity hacked in and changed votes. There is no evidence of that, and the misuse of certain terms like “election hack” for political purposes is a combination of ignorance and deliberate misinformation. The story, however, once again raises the issue of a fundamental weakness of our super-power country in a world where wars have been and will be fought in cyber space.